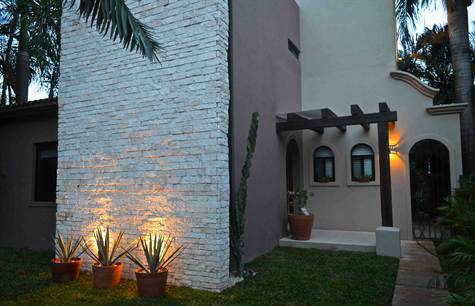 combining traditional Mexican and Modern Design. Really well priced, this could be your new Dream Home in the Mexican Caribbean. Top Quality of construction, very modern design, high end appliances, steady appreciation and of course the possibility for you to live in one of Playa del Carmen’s most luxurious properties. Authentic Caribbean living in Playacar. Werethere you enjoy the ocean view, golf course view or the view to the tropical forest of the Caribbean, then living in Playacar is the ideal place for you. One of the very rare opportunities buying a 5 bedroom Home ion best location in the most exclusive neighborhood inside Playa del Carmen. This beautiful property is located in a tranquil Cul de Sac in the gated Golf Course Community of Playacar. 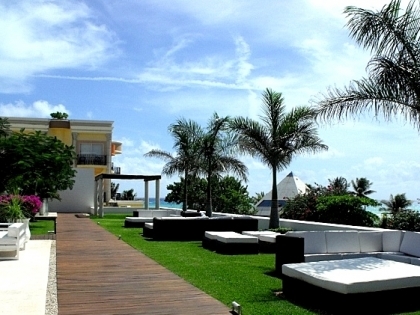 Walking Distance to the Beach and 5th Avenue and right next to the Golf Course and close to the Mayan Ruins. 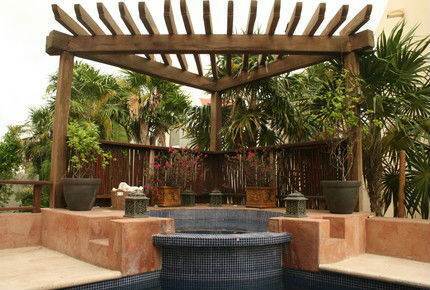 Living in the Caribbean makes outdoor space very valuable and here you have a 7750 sqft lot with a private, huge garden, your own pool, hot tub and outdoor seating areas as well as a large palapa covered seating area to provide shade during the hottest times of the day, and a large area to BBQ. Master bedroom with a convertible king bed, full ensuite bath and private office or nursery. Bedroom with queen sized bed, full bath and private entrance. Living room with full library and a 50′ flat screen Hi-Definition TV with Shaw TV and A/C . This room can be closed off and used as a sleeping area with 3 foldout sofas that can be singles or combined to be a king and a single. There is a half bathroom in the foyer. Master bedroom with a king bed, full en suite bath and private terrace overlooking the pool and gardens. Large Bedroom with two trundle beds to sleep up to 4 people and private terrace. Bedroom with queen bed sharing the full bath. These rooms are ideal for teens, or a couple with children.